The common European currency managed to pass the strength of three simple moving averages on Thursday against the US Dollar. 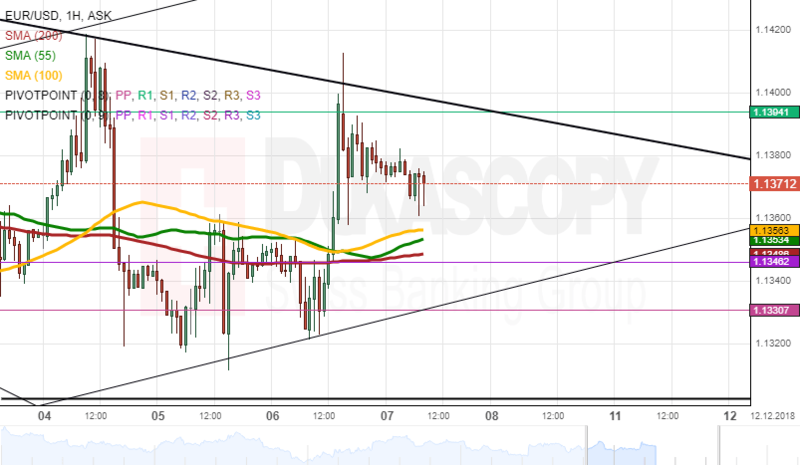 In the aftermath of the breaking of these resistance levels, the currency pair surged up to the dominant pattern's resistance line and bounced off it to begin a decline. On Friday, the decline was expected to reach the previously mentioned simple moving averages near the 1.1350 mark. In general, the pair should pass these support levels and a pivot point, which was locate at 1.1346, to continue its decline. The decline eventually should once more test the lower trend line of a junior pattern. Although, any of the mentioned support levels can slow down the decline of the EUR/USD and force it into a retracement or a short term surge.